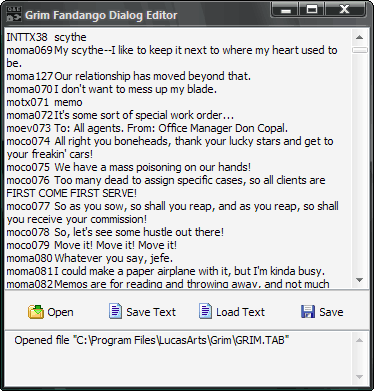 A program that allows you to edit the subtitle text in Grim Fandango. This may be useful for those wanting to translate the text into another language. With this tool, you can view, export, import and edit the text.